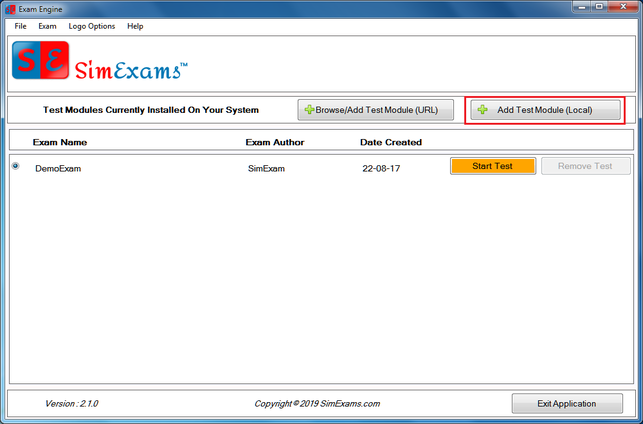 Add Test Module (Local): This option allows the user to add a new Test Module (Question Database) created using CBT Author Module. Note: It is assumed that user already have Test Module (Question Database) file present at a known location. 1. Start the application in either Demo or full version (Demo version of the software is only for trial purpose, it has limited features and allows viewing only 10 questions.). You will be provided with a window where you can select the Question Database File (Created Using CBT Software-Author Module). 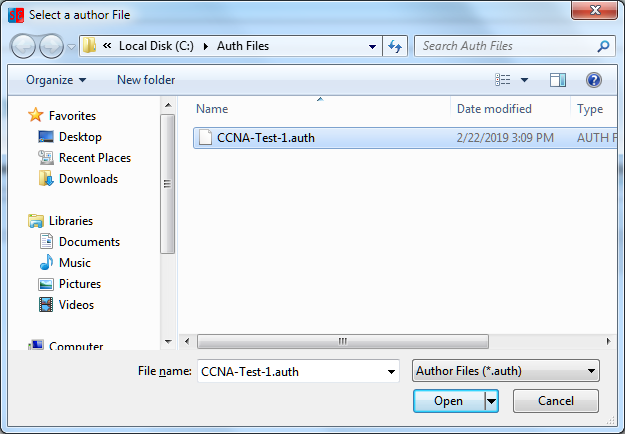 Note that only files created using Author Module (.auth) can be selected. Click on "Ok" to continue. 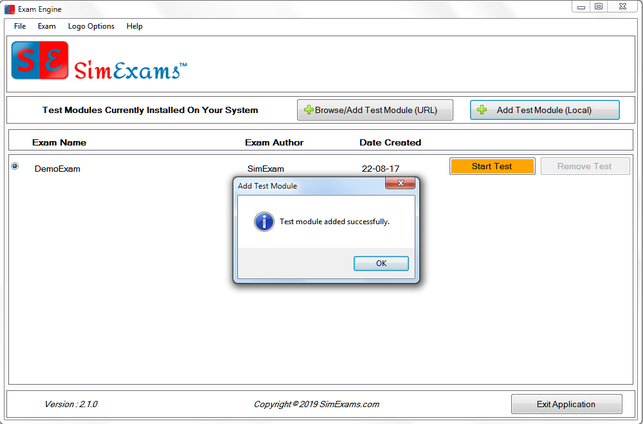 Please wait few seconds for Exam Engine to update and display added Test Module. 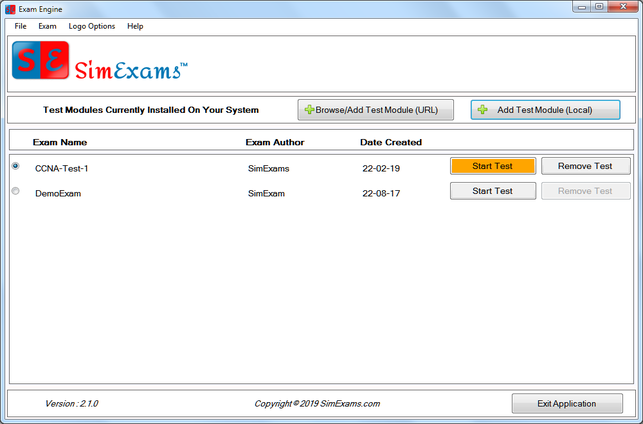 Use "Start Test" button to use the added Test Module.